When Is a Scissor Lift Not an Aerial Lift? If you’re feeling confused wondering, “what is a scissor lift? I thought they were technically aerial lifts,” you’re not alone. Even though scissor lifts and aerial lifts are often grouped together, they are completely different. And as far as OSHA is concerned, scissor lifts are not aerial lifts. 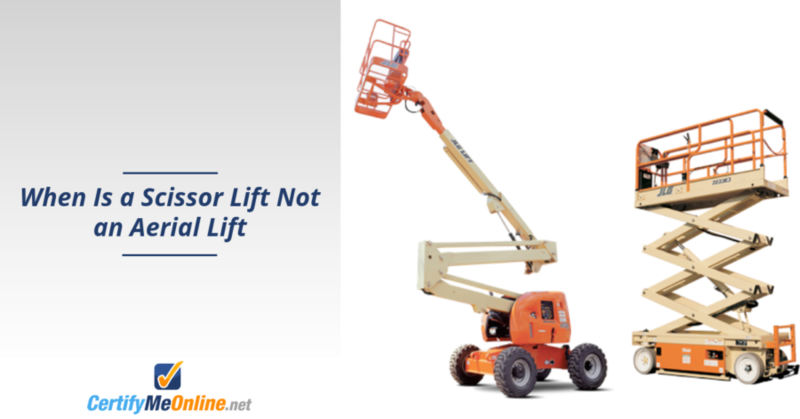 There’s been confusion about the classification of scissor lifts and aerial lifts across many worksites in the United States. This entry was posted in Aerial Lift Certification, Aerial Lift Training, Scissor Lift Training and tagged aerial lift, scissor lift on March 10, 2015 by admin.